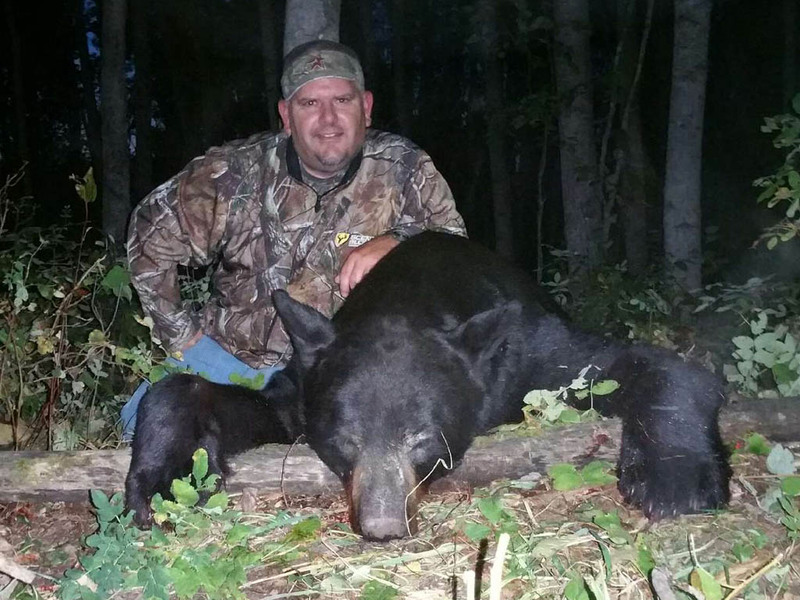 These adrenaline filled black bear hunts are a customer favorite. No baits here, spot and stalk is the name of the game. All of our black bears hunts come with a chance for two bear and our success rate is 100% on opportunities for two bear. Color phase bears are not uncommon running the gamet, black, cinnamon, brown and the occasional blonde bear. If these hunts don’t get your blood pumping you’re not alive. Face to face with a black bear at 10 yards, now that’s hunting! Let us know if you want to use a bow or a rifle, either way you’re in for fun. 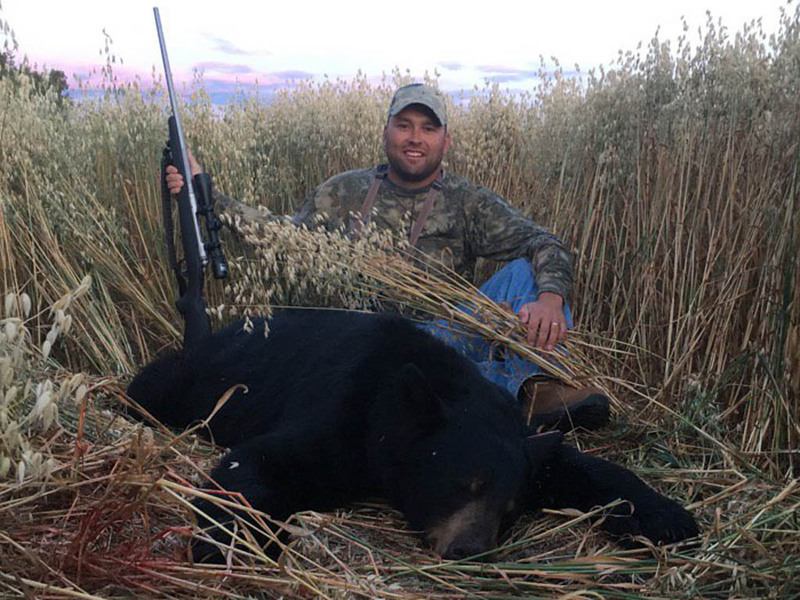 Our black bear hunts are great as a combo with our waterfowl hunts. 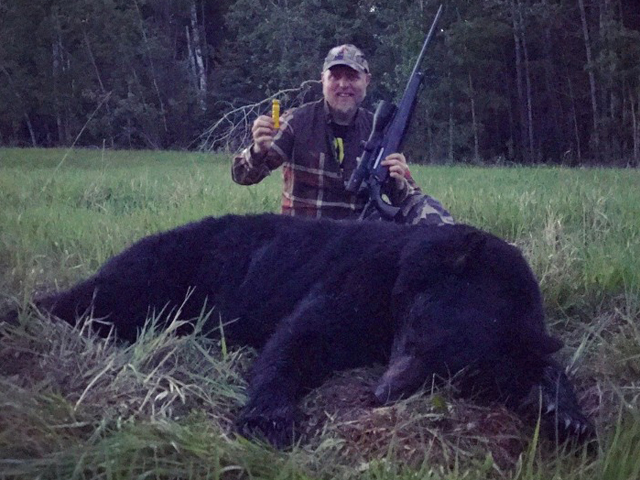 We live and hunt in the Manning, Alberta area and black bear hunting is our passion! 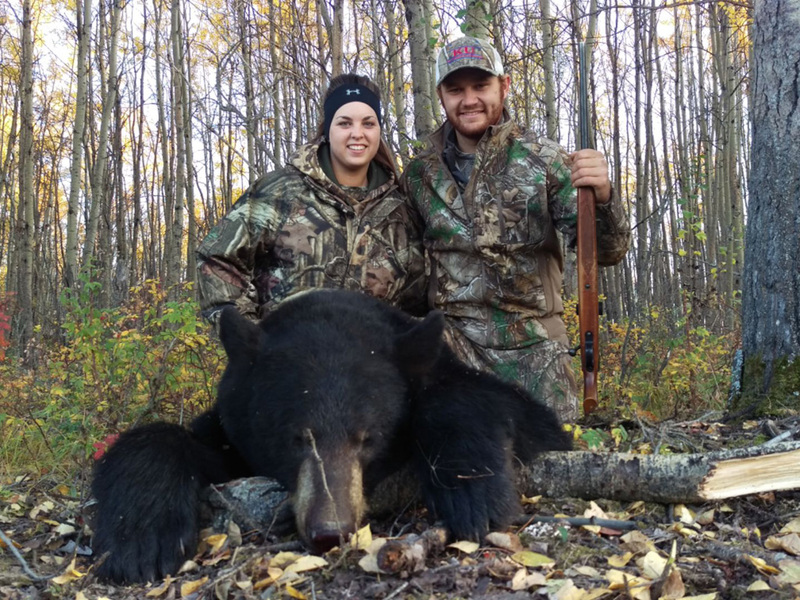 Year round scouting and local knowledge make our black bear hunts a success. If you want great hospitality and terrific black bear hunts you’ve come to the right place. There is nothing we won’t do to try and put you on great trophy black bear. BIG STONE OUTFITTING WILL MAKE YOUR BEAR HUNTING DREAMS A REALITY!